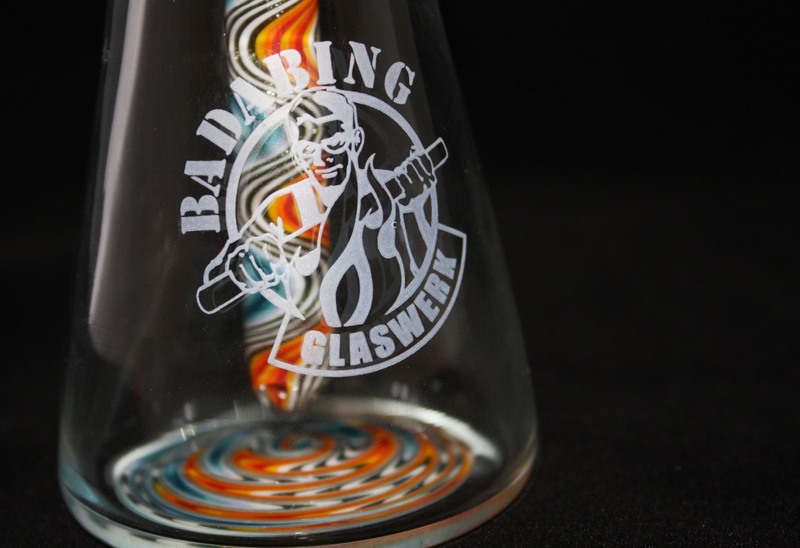 Badabing-Glaswerk – Handblown just for you! Welcome to BadaBing Glaswerk. 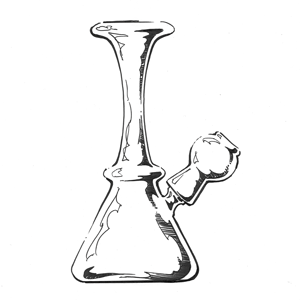 Here you will find one-of-a-kind, functional glass art directly from the artists. 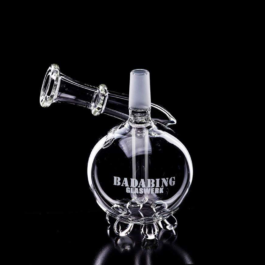 Designed for Dabbing. Well-crafted for regular use. Hand-blown, one-by-one in Germany. 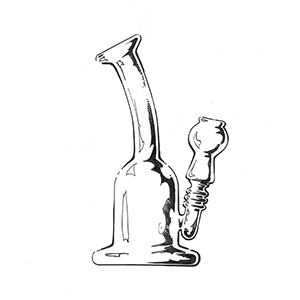 Learn more about Glass art and its Details. There are four small Details that help Sascha gettin better than everyone else. Just one more click and you get straight to our brand new Onlineshop. 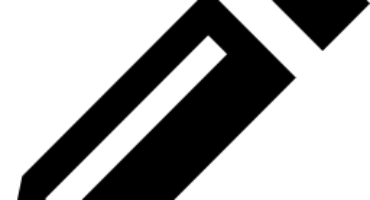 Take a look at our Specialoffers and Launchsales! You better know the Mastermind, huh? If not its getting time. 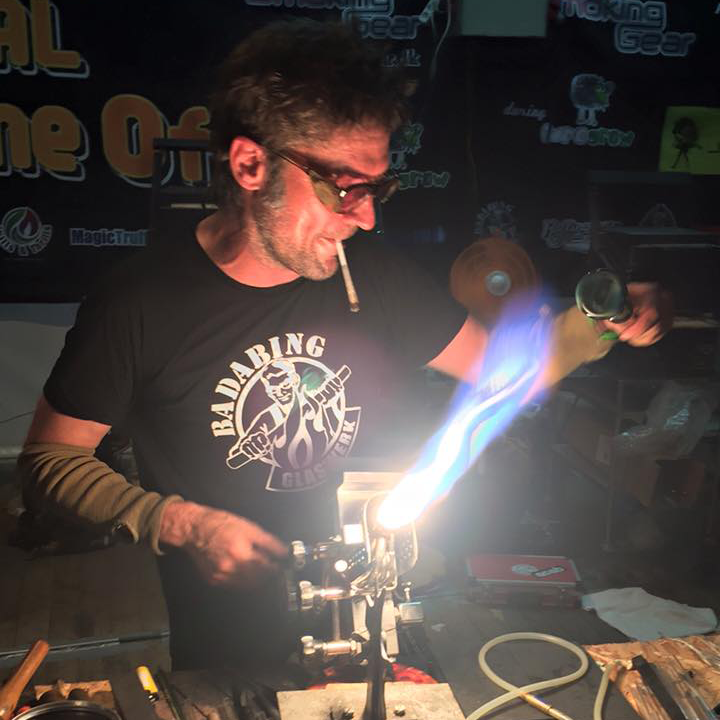 Learn more about Sascha, the guy behind BadaBing Glaswerk. Take a look at the Best Offs. Here you find the best Output throughout the last years. 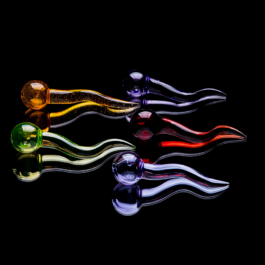 All Original, all handblown just for you! OK, TELL ME MORE ABOUT YOUR PRODUCTS! The Signature Collection is pristine, with clean lines that resemble classic laboratory shapes and artistic features to add to the beauty and style. 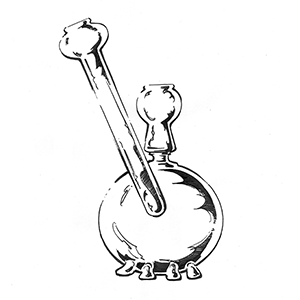 The story when german craftmanship and tradition art meets Scientific glass. When it Comes to the Techniques Used to Create a BadaBing Original – It’s Artist’s Choice! 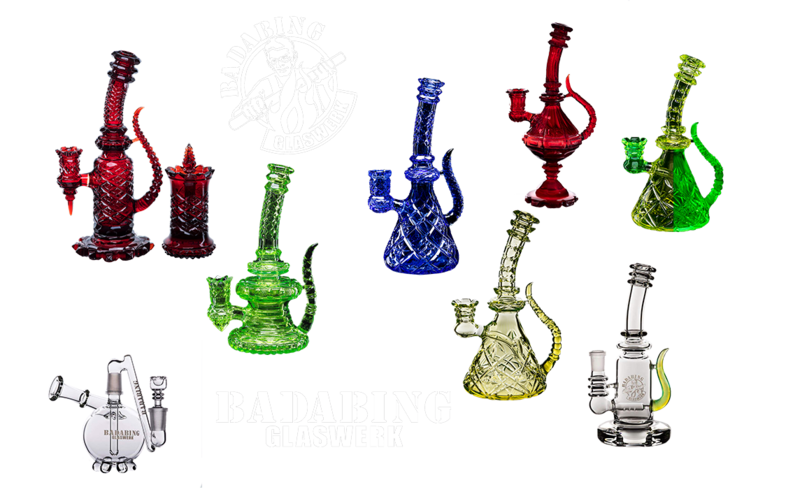 At BadaBing you have the option to request your very customied piece of work. Contact us to get all infos, we are happy to hear from you. This is an old school DeepCut from 2014. If you are looking for a rare, unique and one-of-a-kind rig to spoil yourself with… say ‘hello’ to The DEEP Cut. 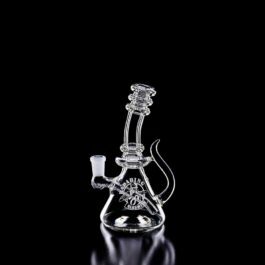 These sophisticated dab rigs are covered with heavy-cut glass patterns that dance with the light. 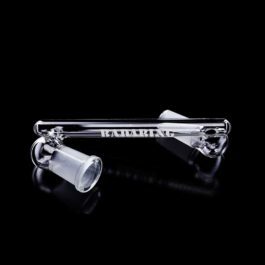 Never identical, the DEEP Cut on each pipe varies in style, pattern, and placement meaning each one is a true one-of-a-kind. Looking for your own custom DeepCut? 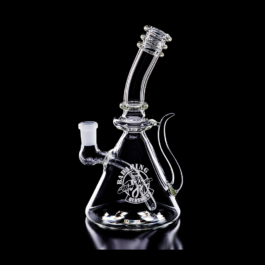 Look at this gorgeous freestyle line work Beaker from 2013 featuring double layers and a removable 14mm downstem! 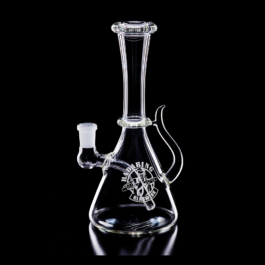 BadaBing Originals incorporate the 5 scientific pipe designs from our Signature Collection but with a heady twist. 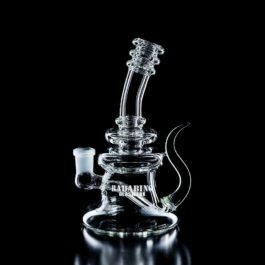 These dab rigs are made with a higher degree of technical skill, precision and artistry and take a lot more time to decorate. 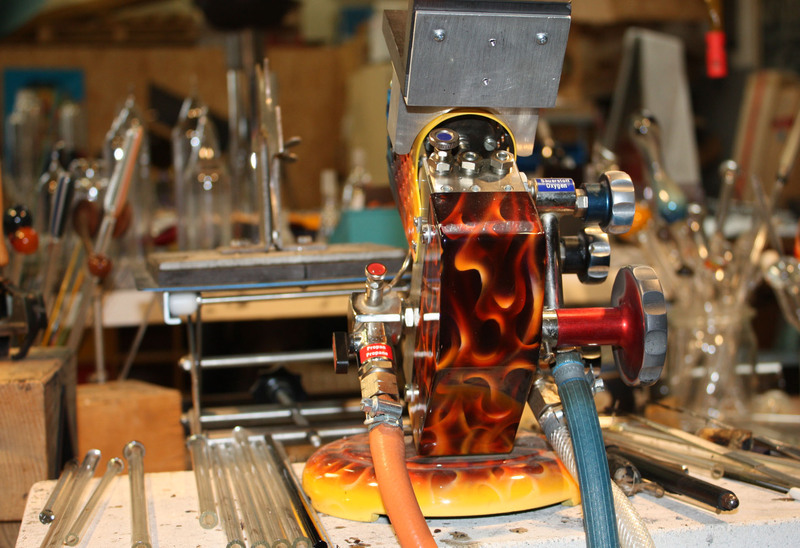 This is where we unleash our arsenal of glass blowing techniques to create pipes that harmoniously combine both Scientific and Heady glass. 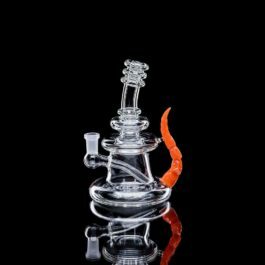 Available in 10 & 14mm, these pipes are designed with the solid, durable, well-crafted qualities you expect of a hand-blown scientific piece but also showcase the intricate patterns, bold colors and creativity of heady, functional glass art. Looking for your own custom BadaBing Original? A daily-driver is your go-to piece, the one you enjoy regularly when you’re alone or are proud to pass around with friends. It should be functional, sturdy, and easy to clean but also stylish, unique and attractive. Our Signature Collection was designed with that in mind. 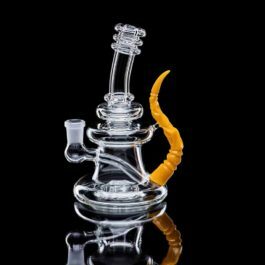 Here you will find 5 striking, well-crafted dab rigs. 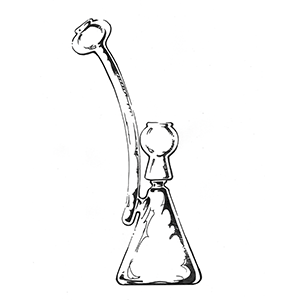 Each hand-blown with a unique BadaBing shape and style that transforms basic scientific glass into beautiful functional glass art. 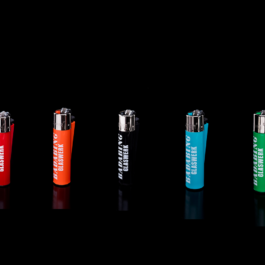 Designed specifically for concentrates to maximize your hit, intensify the flavor and deliver it smoothly. 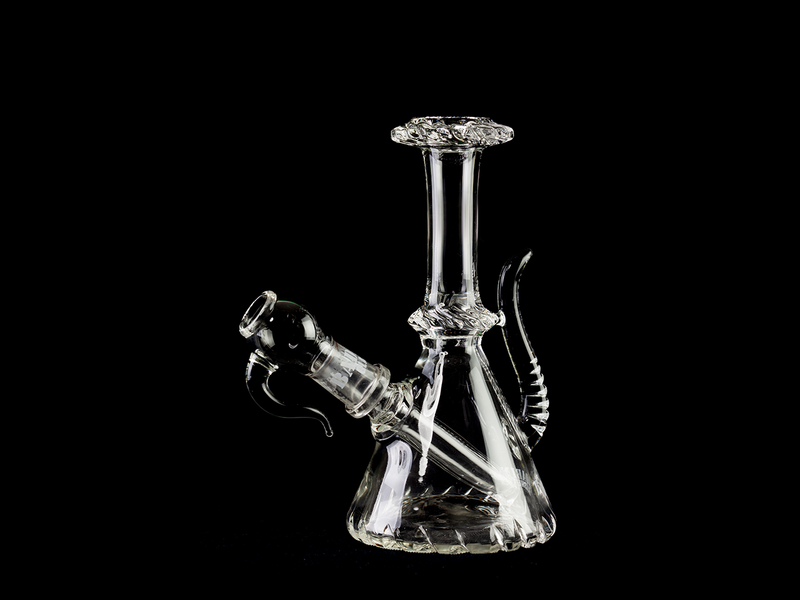 Made with heavy wall glass tubing, the transitions between welds are smooth, attachments and joints are carefully reinforced, resulting in a beautiful, supremely functional pipe. 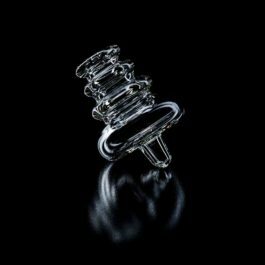 Available in 10 & 14mm, these pipes are on the smaller side to ensure that the taste and delivery of each dab are the best they can be. 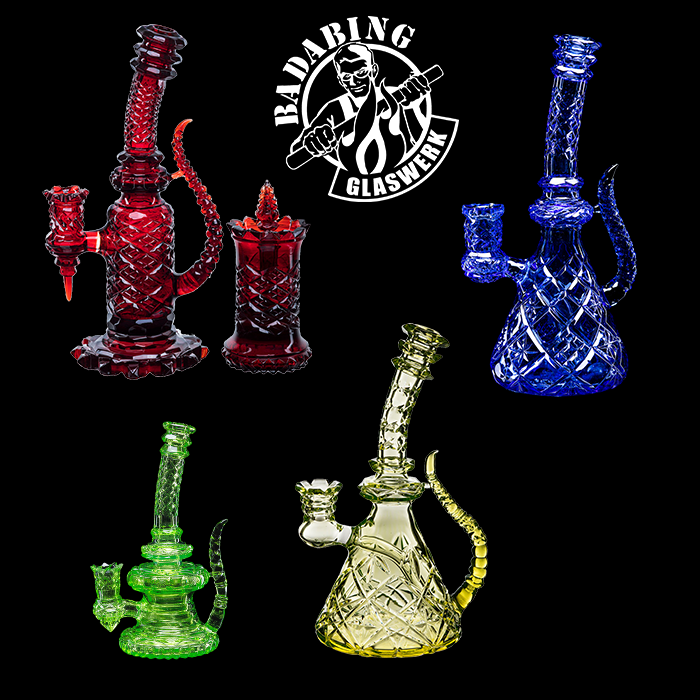 The BadaBing Signature Collection - Your go-to piece no matter what the occasion, well-crafted to be your daily-driver with a hand-blown, original design that you’ll be proud to pass around. 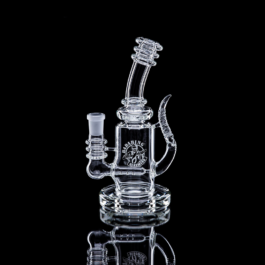 Looking for your own Signature Collection rig? 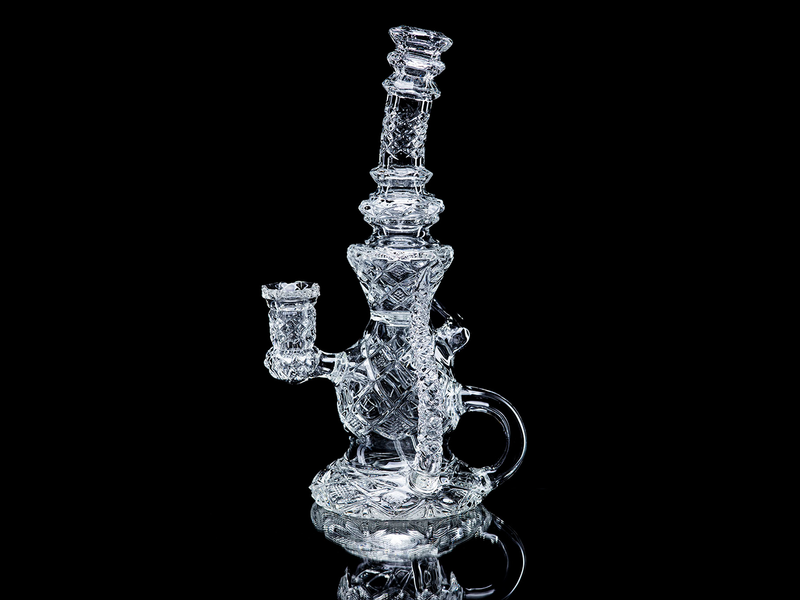 Beatiful DeepCut Klein Recycler from 2017. High Quality Silicone Mat keeps your glass safe on the table. 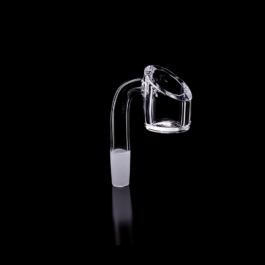 Handmade Borosilicate Directional Airflow CarbCap in a unique BadaBing Glaswerk style. "The best you can get. Best quality, Sascha is a god! 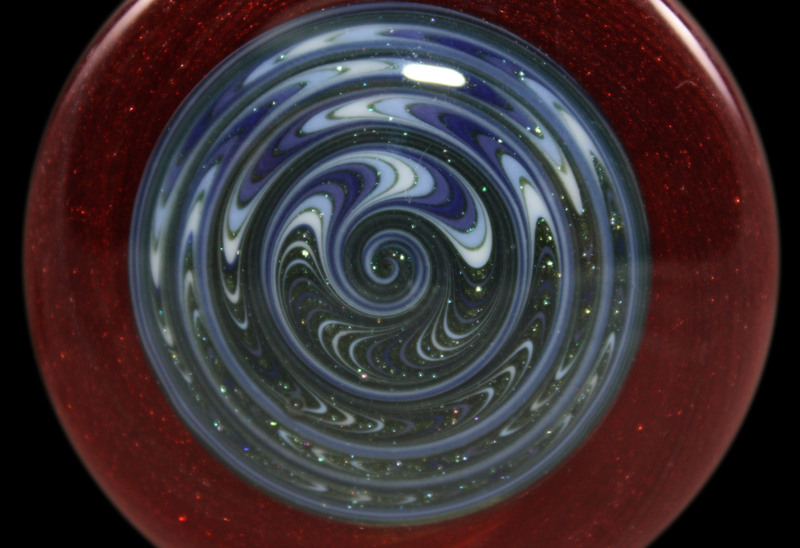 "... go check out his glass skills, I personally recommend any piece from his collections!" 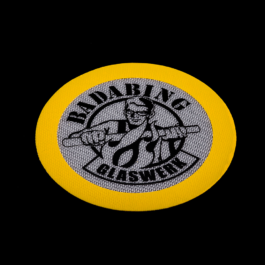 "Big love to BadaBing Glaswerk, great guys and amazing service!" Thanks for getting in touch! There will be at least one newsletter a month. If you like to to unsubscribe just follow the link on top of the newsletter. Welcome to our official Onlineshop. 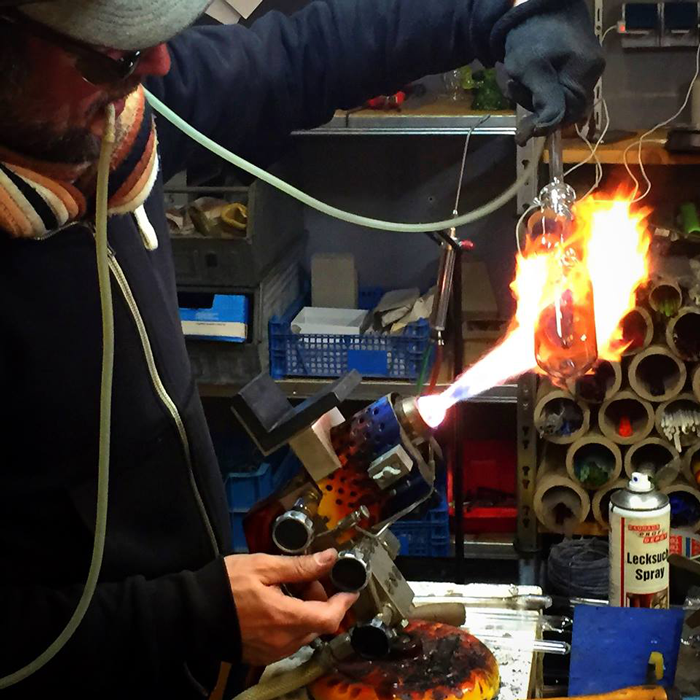 Here you will find one-of-a-kind, functional glass art directly from the artists. © 2017 All rights reserved. BadaBing Glaswerk.